Five For Fighting is BACK! 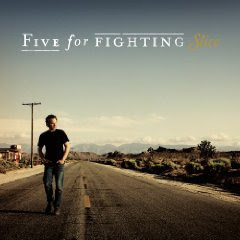 Slice by Five For Fighting was released on October 13th, 2009. Singer/songwriter John Ondrasik has spent the past decade writing deeply personal songs that include social messages, invoke the human spirit and make an emotional connection. This can be heard on the past five albums by Five For Fighting, the band name under which he records and performs. 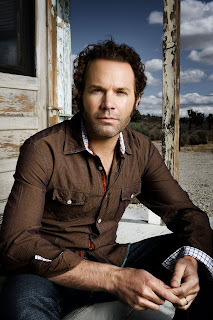 Five For Fighting’s breakthrough came in 2001 with the Grammy Nominated song “Superman”, from the Platinum certified “America Town”. The song was climbing the charts upon release, and when 9/11 happened, it became a song of healing for the nation. FFF performed the song at the post 9/11 fundraiser The Concert for New York which paid tribute to all the firefighters, police officers & paramedics affected by the events of 9/11. On the 2004 release, “The Battle For Everything”, the song “100 Years” followed in the footsteps of “Superman” as yet another inspiring reflective song. Refresh your memory here with FFF videos or by launching this FFF widget. John is happily married and the father of two children whom he dotes on. His oldest actually made a debut in one of his videos as a newborn! (His other baby, his retro Ford Mustang, has made appearances in more than one album package and video.) He and his family resides in Los Angeles, CA. * In Feb 2007 John launched a charity driven website – whatkindofworlddoyouwant.com that raises money for various charities when users view video clips provided by visitors to the site. Current views are over 3 million with approx. $300,000 donated! * Along with numerous television licenses, John’s composed songs for “August Rush”, “The Sisterhood Of The Traveling Pants”, “We Were Soldiers”, “Chicken Little” & “Everyone’s Hero"
* John loves sports and writing (and not just great songs)! He penned a regular hockey column for SportsIllustrated.com from 2005-2007, and freelances for various publications. One of you will win an autographed copy of this CD! You can gain an extra entry by Tweeting about this giveaway and leaving me a link. This giveaway is open to US only. Winner will be notified via email (so leave your email address!) and will be announced here as a new post. Winner will have 48 hours to respond to my email, or they will forfeit their prize and a new winner will have to be chosen. This giveaway will end on November 10th, 2009, at midnight EST. Disclaimer: I was provided a digital download of this CD by One2One Network. Receiving a free product will NEVER influence any review I post on this blog. My opinions are my opinions, and yours may differ. Thank you to One2One Network for this review and giveaway opportunity! Would love to win it, and I posted a link on my blog! It looks good. I like it songwriters write and sing about our life and love his song of 911. I love Five For Fighting. All their music honestly. My favorite though is Riddle. I tweeted @mysentiment! Thanks so much.